Welcome to Dawson's High School Guidance Program! Dawson approaches the high school placement process with the same intensity as a high school's college placement program. Once your child graduates from Dawson, we know that the high school they attend will be critical in continuing their intellectual and personal growth in college and beyond. That is why Dawson has an individualized high school guidance program, including on and off-campus events and individual counseling. There are many options to consider, including local public magnet, career and tech academies, private schools and boarding schools. Dawson’s High School Guidance Team ensures that our families have the tools necessary to navigate this process. Ms. Finfrock joined Dawson in 2003 and is currently the Enrollment Manager and part of the Advancement team. Ms. Finfrock was the middle school counselor and the high school placement advisor prior to her new position. Ms. Finfrock has helped place ten years of Dawson alumni at local public and private schools as well as boarding schools across the U.S. She has visited numerous schools across the country both on the East and West Coasts. Ms. Finfrock coordinates our high school fair each November, the largest such fair on the West Coast. Prior to joining Dawson in 2011, Ms. Muckle was part of the administrative teams that opened the West and Southwest CTAs. She has been the Program Manager for Dawson College Bound for four years and was recently named Development Manager for The Alexander Dawson School. She is the proud parent of a Dawson and Thacher boarding school alumna. Her passion is to help place students in the school that is right for them; she feels strongly that finding a student's "best fit" is the most important element of high school success. 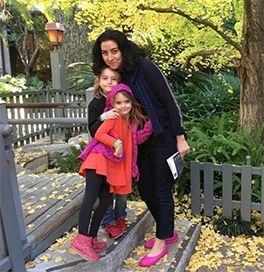 Ms. Muckle has established relationships with the top boarding schools on the West Coast and, for the last five years, she has helped place many students into boarding schools as well as local Magnet and CTAs. Andrew‘s first introduction to independent schools was when he began his high school experience at The Groton School. These transformative four years shaped Andrew‘s life and led him to pursue a career in education. 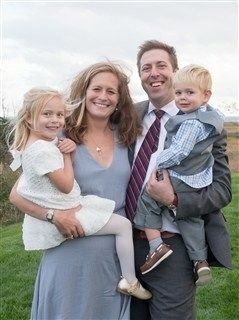 Before coming to the Alexander Dawson School, Andrew spent nine years at Berwick Academy serving as their Director of Admission and Financial Aid. During his time at Berwick, Andrew was part of the English department, coached lacrosse and hockey, was a member of the school’s diversity initiatives, and taught eighth-grade Ethics. Most recently, Andrew was the Assistant Head of School for Enrollment at Gould Academy; in this role, Andrew spearheaded initiatives related to student recruitment and retention as well as the school’s marketing and branding. Andrew completed a Masters Degree in Educational Leadership at Columbia University. At Columbia, Andrew worked with Harlem Academy’s Admission Office developing new methods of applicant assessment based on research conducted at UPenn, Stanford, and Columbia’s schools of education. In collaboration with others, Andrew crafted a new admissions policy for Harlem Academy that placed a greater value on noncognitive skills such as character, family partnership, and resilience. Andrew lives in Las Vegas with his wife Kyle and three young children. Matsuko Freeman was born in Ken, Japan, and as a young child immigrated to the United States. Upon living in the United States for 7 years, she became a naturalized American citizen. She lived in Southern California for most of her life, before moving to Las Vegas, where she has been a resident for the past 12+ years. Matsuko holds a BA in Education and an MA in Public Administration. Matsuko’s career originated in the private sector. 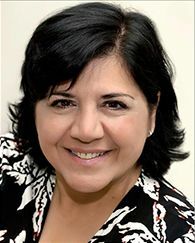 She previously held the position of Vice President of Operations for Alo Concepts, Inc. and also held positions as VP Mfg. & VP Operations for Jason Natural Products. After 20 years in the private sector, Matsuko sought a more rewarding career in education. She currently holds 18 years of teaching experience, including 10 years at Dawson. Previously she taught seventh-grade science prior to joining the Health & Fitness team. Her role at Dawson now includes faculty member and Advisor. Aside from her passion for teaching and love of her students, Matsuko enjoys traveling to Atlanta, Georgia, to visit her daughter who is the Corporate Counsel for a major automaker, and spending lots of time with her grandson Mason, a Dawson alumnus. Prior to joining Dawson in 2013, Jolie Lindley taught high school in Indiana for 18 years in four different schools. During that time period, she assisted countless students through the college application process, including helping them narrow down their choices, advising them on application essays, and accompanying them on college visits. Because of her background, Ms. Lindley understands the demands placed on high school students in a variety of settings and helps shepherd Dawson students through the application process to find a high school that best fits each eighth grader. Ms. Lindley coordinates the local private school and magnet/CTA tours and shadow days, serving as a liaison between those institutions and Dawson. She also advises students on the recommendation process for applying to local private high schools and boarding schools, as well as offering language arts SSAT prep. 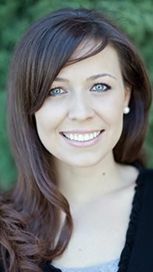 Ms. Sproul joined Dawson in 2016 as the new School Counselor for students in grades 5-8. Prior to joining the Dawson community, she worked for seven years at a non-profit that helped underserved youth prepare for a bright future, including college preparation. 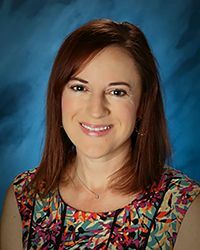 As an Adjunct Professor at UNLV for ten years, she also has a firm understanding of the skills and preparation our students need to be successful at the collegiate level. 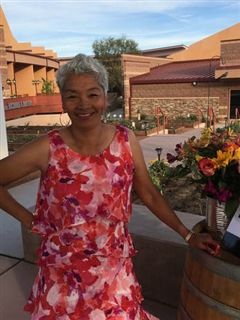 She spent her first few months at Dawson touring local private schools, learning the intricacies of Magnet Schools and CTAs, and traveling throughout California to meet with ten West Coast boarding schools. She is passionate about finding the best high school fit for all of our Dawson students. Ms. Sproul will also be an option when your student chooses which administrative member they want to write their letter of recommendation. Chris was born in Tucson, Arizona and raised in Las Vegas. He has been with The Alexander Dawson School since 2011. Chris earned a B.A. degree in Chemistry from Lewis and Clark College and M.Ed in Curriculum and Instruction from UNLV. His career in education began with Teach For America as a corps member in the Las Vegas Valley. He started at Dawson as a Middle School science teacher and is now the Director of K-8. In his free time, Chris enjoys exercise, food, hiking, reading, traveling, and spending time with friends and family. Meg graduated from the University of New Hampshire in 2006 with her M.Ed. in counseling. She was a counselor and a lacrosse coach at a high school in New Hampshire before moving to Las Vegas in 2008. She and her husband have a dog named Cache. They spend their free time hiking, mountain biking and skiing. Chris graduated from Rensselaer in 2002, where he played ice hockey and received his bachelor's degree. After college, Chris played professional hockey overseas and in the U.S. Chris taught Psychology at a high school in Maryland, and also coached hockey and lacrosse before moving west. He enjoys hiking and golf in Las Vegas.